This month, Bethell has welcomed five new entrants on to its well-established apprenticeship scheme in recognition and celebration of the programme’s ten year anniversary. These new entrants will have the opportunity to attain an NVQ2 Qualification through this apprenticeship scheme and will subsequently achieve an NVQ3 qualification. This opportunity will open many exciting doors into the working world for the apprentices as well as vital life experience to ensure they are fully prepared for a successful career. All five apprentices have been selected from Bolton and its surrounding areas. 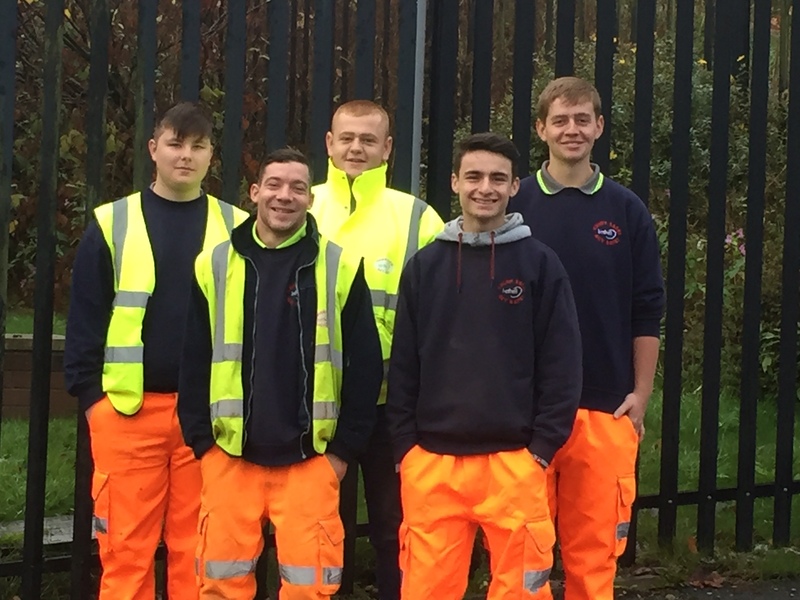 Not only does Bethell wish to provide opportunities for youngsters entering the world of work but it continues to boost local employment opportunities through its work with the Highways Framework Partnership with Bolton Council. Bethell Managing Director, Vinny O’Dowd has stressed the importance of investing in young people: “Our apprenticeship programme is vital in ensuring that we are adequately prepared for future skills shortages whilst at the same time supporting the local community. “Over the past ten years the programme has produced some outstanding tradesmen who are now amongst some of our most highly skilled and respected employees”. With this mentality, the company’s decision to join The 5% Club was a natural one. To find out more information about The 5% Club, and how to become a member, please visit www.5percentclub.org.uk or get in touch by emailing contactus@5percentclub.org.uk. Information about the campaign can also be found onTwitter, and LinkedIn. This entry was posted in Case Studies, News, Partners by 5percentclubuk. Bookmark the permalink.